1925 – Father Pyli visited the faithful at their homes to gather for worship. 1926 – Monroe Coal Company gave the faithful the building that the Roman Catholic Church once used. Father Woloshchuk was assigned as pastor. As the years went on, the faithful made changes to the church. The people put their talents to use. 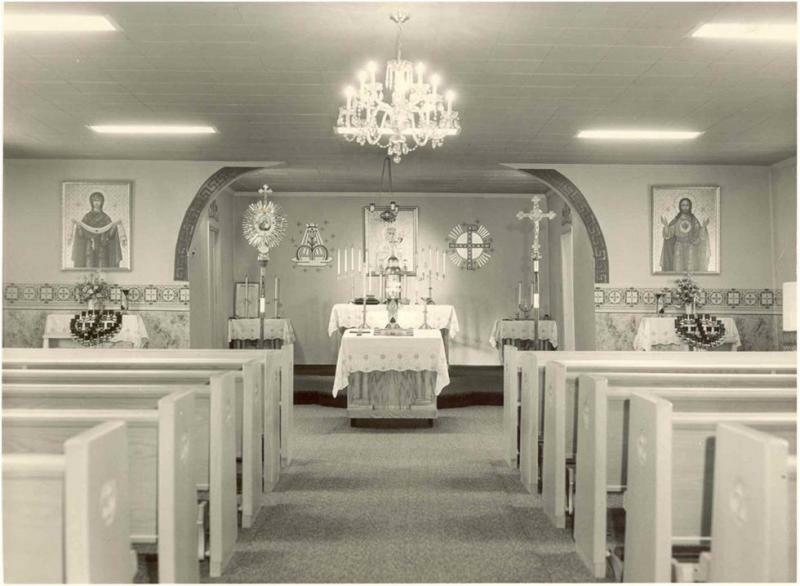 In the 1950’s, a new Holy Table and tabernacle was installed. In the 1960, new pews were added. As time rolled on, the little wooden structure began to lean. 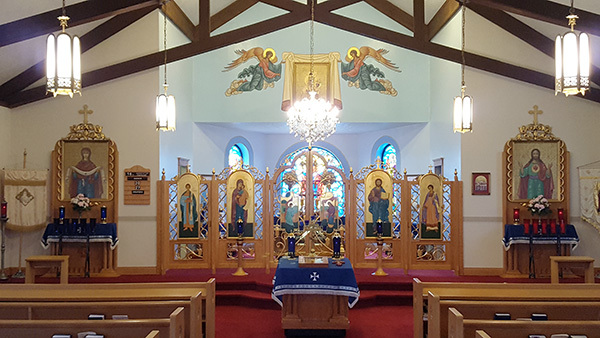 It was decided by Father Sirko to build a new church. A ground breaking ceremony was held. Father was transferred before any building could take place. 1972 – Under the pastoral care of Father Ulicky, the new “brick” church was built. In April of 1974, Bishop Basil (Losten) came and blessed the new structure. 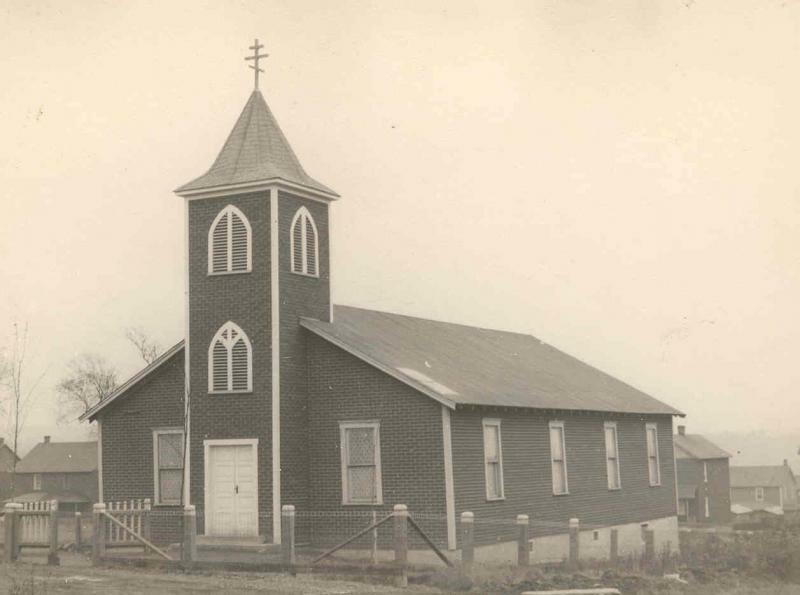 2011 – This year marks our 85th Anniversary as a parish. 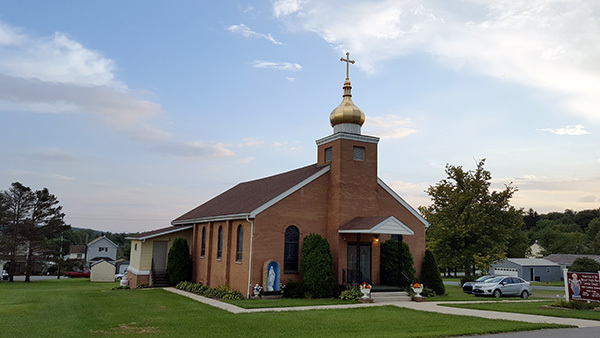 2014 – Revloc/Johnstown hosted the 76th Annual League of Ukrainian Catholics of America Convention. 2016 – This year marks our 90th Anniversary. We will continue to spread the message of the Jesus Christ for many more years!